Infallible Techie: How to Load or Update Records in Custom Metadatatype? How to Load or Update Records in Custom Metadatatype? 4. Create a folder with any name and move the below components alone to the new folder. 5. Create a ZIP file from the folder. 6. 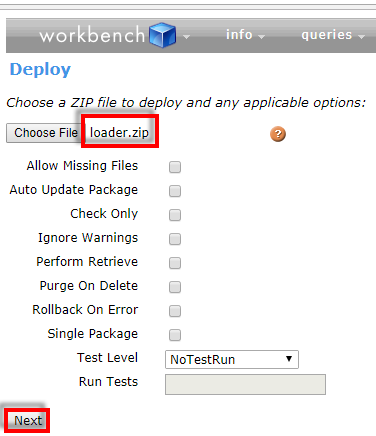 Use Workbench to deploy the zip. You can use the below options too for deployment. 7. Choose file and click Next. 8. 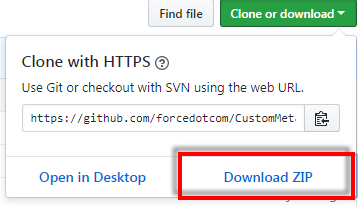 After successful deployment, go to Custom Metadata Loader tab. Click "Create Remote Site Setting" button. If you face any issue, create a remote site as below. The URL should be the URL of the tab. 9. Select file, metadata type and click Create/Update custom metadata. 1. If the file has duplicate Label or Developer Name entries, the last entry becomes the new or updated record. 2. Header must contain the api names of the fields.